Thin film solar startup NovaSolar didn’t seem to have much of a chance. It grew out of the 2009 demise of another startup, OptiSolar, but it couldn’t make it a second time around with the same thin film technology that has fallen out of favor among Silicon Valley investors. 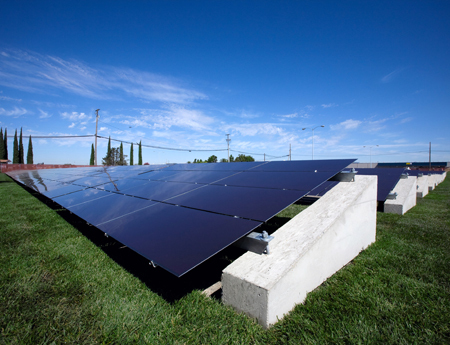 NovaSolar filed for Chapter 11 in San Jose last Friday, reported Dow Jones. There were signs of trouble at the company earlier. It furloughed employees and suspended the construction of a research center in Fremont, across the bay from Silicon Valley, and a factory in China, reported San Francisco Business Times in February of this year. The company’s office building, also in Fremont, had at least four liens filed by contractors and other vendors for unpaid work. What makes NovaSolar an interesting footnote in the history of the solar technology development is its connection to OptiSolar, whose ambition to be a major thin film manufacturer and solar power plant developer crashed rather spectacularly in 2009. The company had just opened a factory in the Sacramento area in the fall of 2008, and 60 Minutes ran a segment showing the then Gov. Arnold Schwarzenegger visiting the new factory. It also had inked a contract to sell power to the local utility, Pacific Gas & Electric, from a planned 550 MW project in central California. But OptiSolar, which had already raised over $300 million in capital, couldn’t raise enough money to continue its operation. Founded in part by former Hewlett-Packard CTO Marvin Keshner in 2005, OptiSolar ended up selling its pipeline of unfinished solar power projects to First Solar for $400 million, a move that vaulted First Solar (s FSLR) into a major project developer in North America. Apparently some folks at OptiSolar didn’t give up on the company’s original dream, and NovaSolar was formed in 2010 to make thin films and develop projects. Except, this time around, the company wanted to produce the thin films – solar panels with an ultra thin layer of amorphous silicon – in China while keeping R&D in California. The company was backed by at least one Chinese investor, Portcullis TrustNet. Amorphous silicon technology was quite popular when silicon, the main ingredient in most of the solar panels today, was expensive in the mid-2000s. But the technology isn’t as efficient at converting sunlight into electricity as silicon and other types of thin film solar technologies, and its initial manufacturing cost was high. Some amorphous silicon solar startups couldn’t reduce their production costs quick enough to compete in a market where silicon prices have dived. The technology isn’t dead, however, and seems to have found a haven in Asia, where some companies have continued to make and sell their amorphous silicon thin films. NovaSolar’s demise also reflected an industry-wide trend of bankruptcies, factory closures and layoffs by solar manufacturers large and small over the past year as a result of an oversupply of solar panels and plummeting prices for them. American manufacturers who have gone bankrupt include Solyndra, Evergreen Solar, SpectraWatt, Konarka Technologies, and Energy Conversion Devices. Energy Conversion Devices, a developer of amorphous-silicon thin films, said yesterday it would auction its solar assets on June 26.